It’s a shortened week… hooray!!! And Thanksgiving is the day after tomorrow!!! I was supposed to fly to New York early Thursday morning to spend Thanksgiving with some extended family that we don’t get to see very often, however the weather is supposedly going to be horrible in the Northeast so my parents and I have decided to stay home and do Thanksgiving here instead. It’s a little disappointing, but we would be driving home from NY which is a pretty long drive and would have been horrible in a snow storm. I always envy people with big families who all live near each other and have huge family gatherings for the holidays. My family lives mostly in Greece and on the East coast – my parents, brother, and I are the only ones in the Midwest. I am definitely excited for some time off work and a little rest and relaxation. I’ve been feeling pretty stressed out lately so it will be a much-needed break. 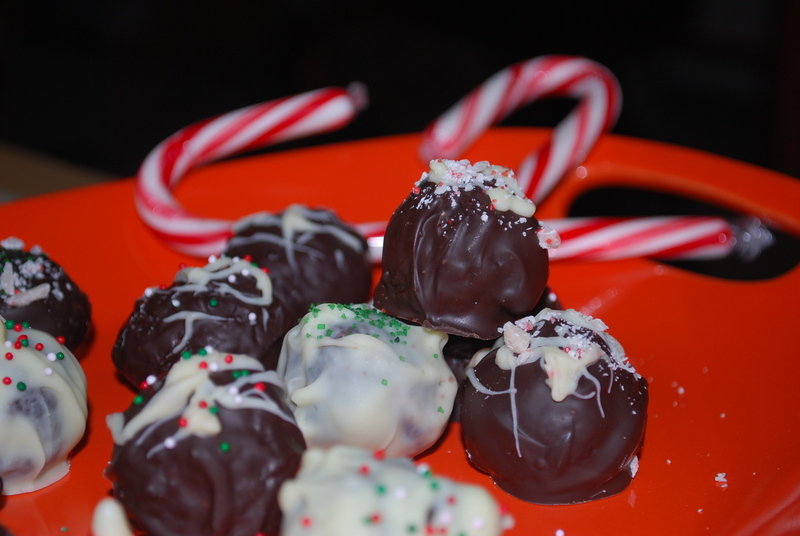 Tomorrow after school we are having a Thanksgiving luncheon for the staff, and I immediately volunteered to bring a dessert because I LOVE making holiday desserts. 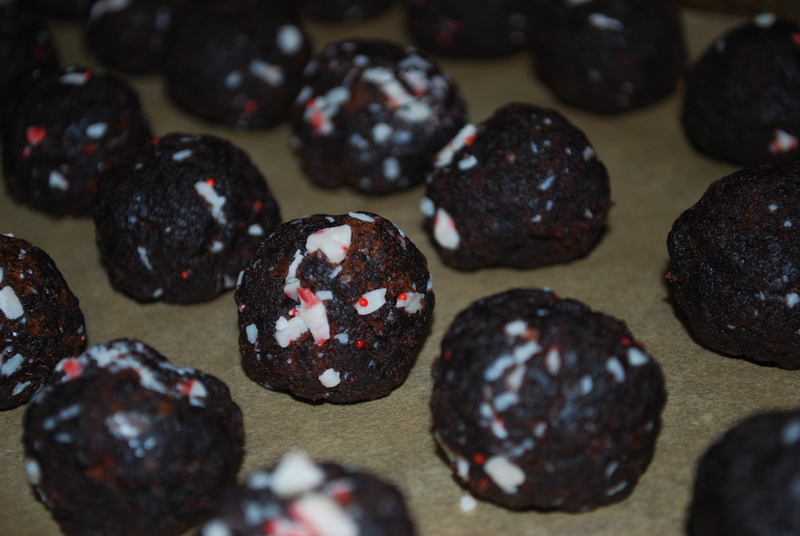 I decided to make Peppermint Brownie Truffles – freshly baked brownies, rolled into balls with pieces of peppermint chocolate, and covered in chocolate. 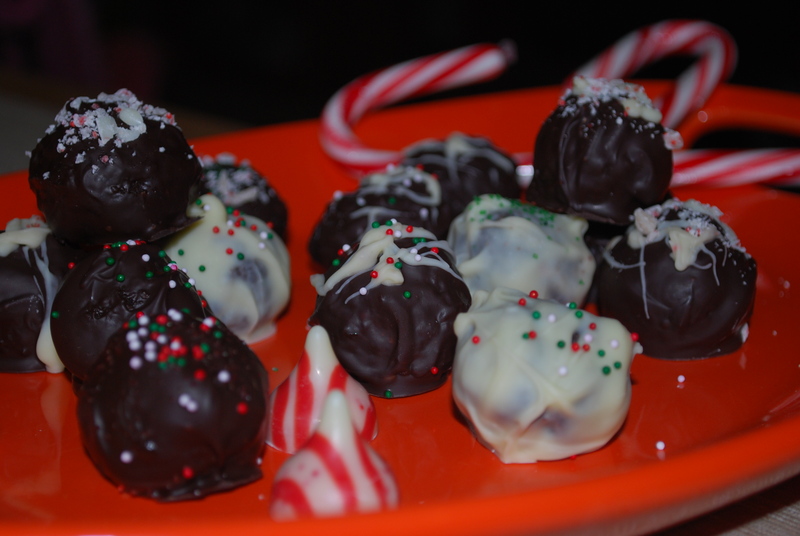 It’s unreal how excited I am to bring these in to my coworkers tomorrow; they are going to loooooove them! 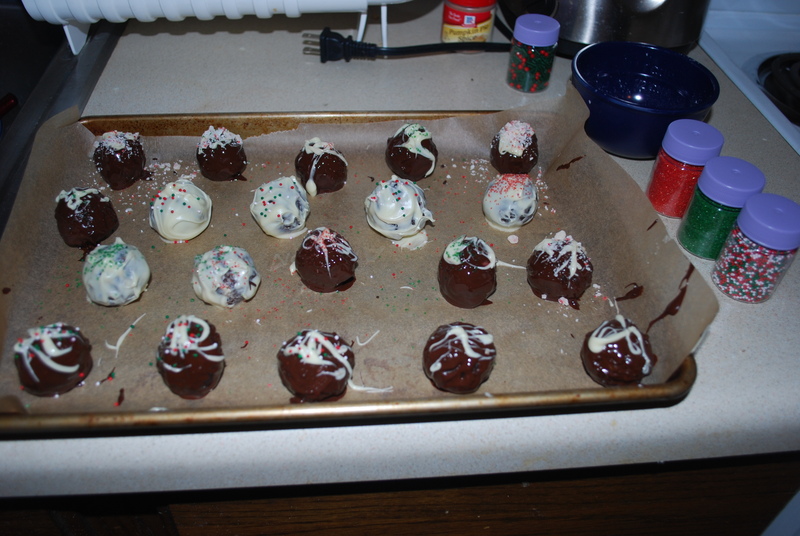 It’s taking all my willpower not to scarf them all down before I have a chance to bring them to work. That’s how good they are. 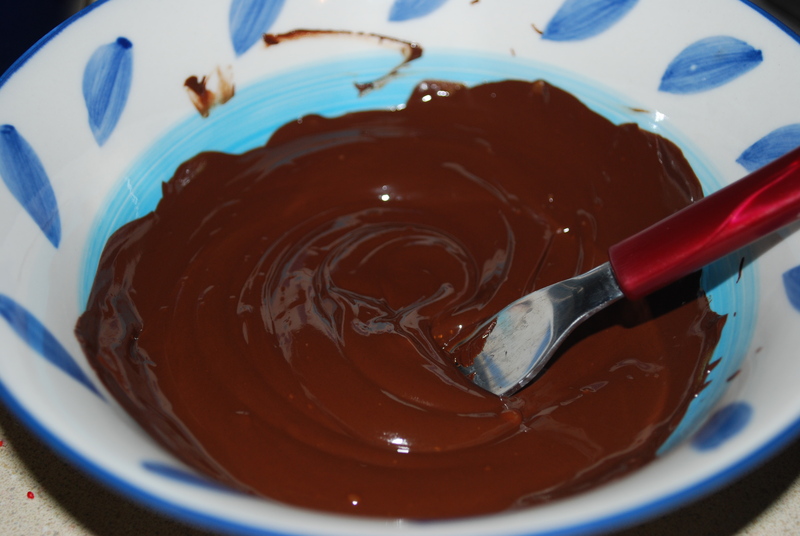 First, bake your brownies. 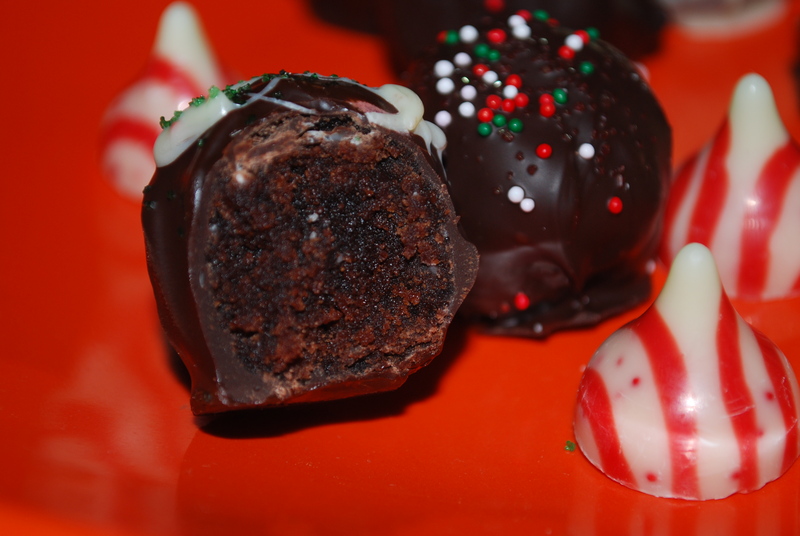 You’ll need 1 box of brownie mix (any kind that is “fudgy”) and the ingredients on the box (mine required 2 eggs, water, and vegetable oil). Bake your brownies according to the directions on the box. 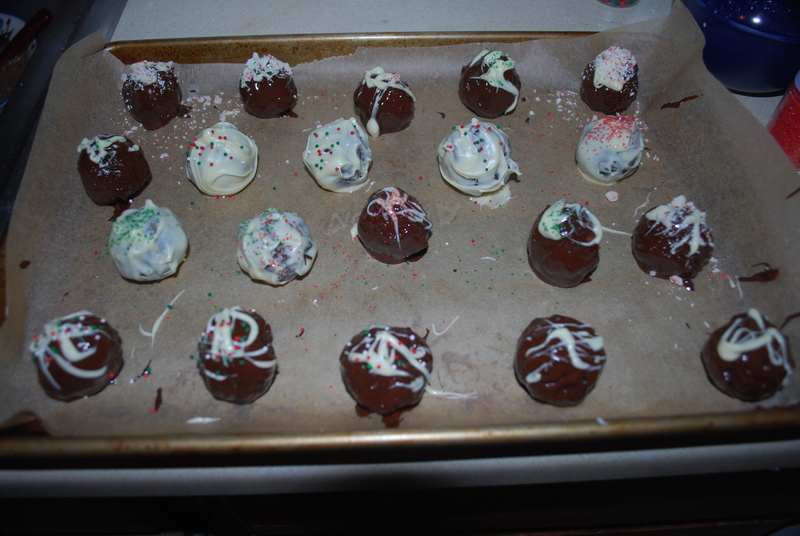 Once you take them out of the oven, let them cool. 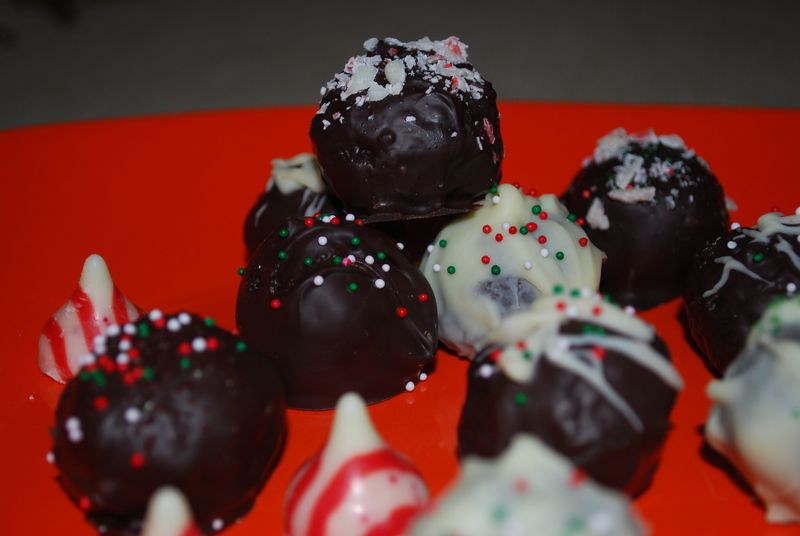 While the brownies are baking away, take 10 Candy Cane Hershey Kisses and either shave them or cut them into very small pieces. 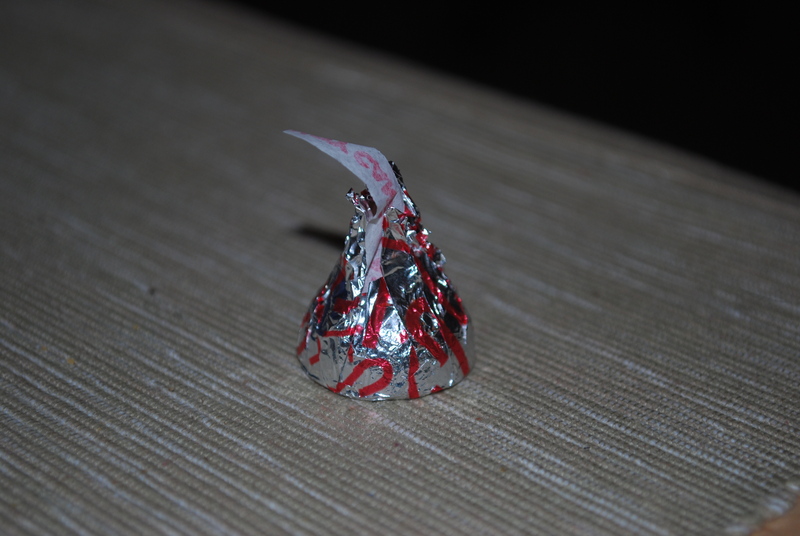 Try to resist the urge to eat a million of these Kisses. Trust me… it’s a lot easier said than done. 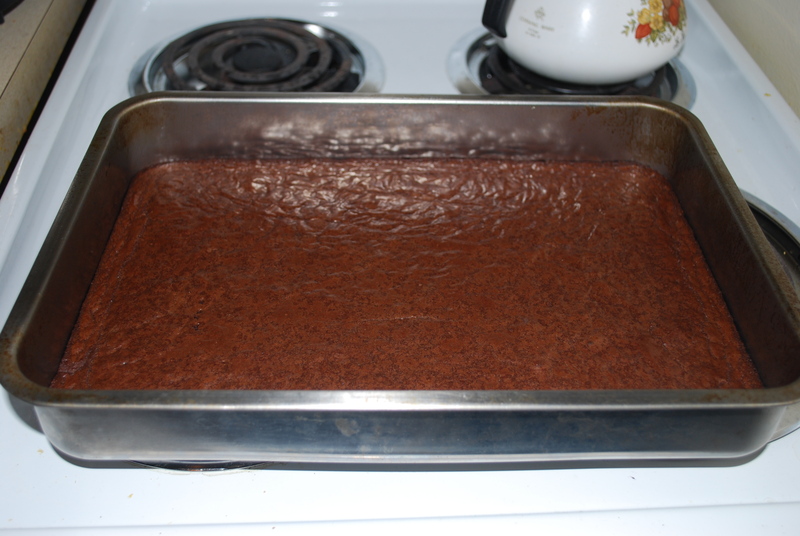 Once your brownies have cooled, crumble them in the pan, then discard the hard, outer edges. By discard, I mean eat or save for later! 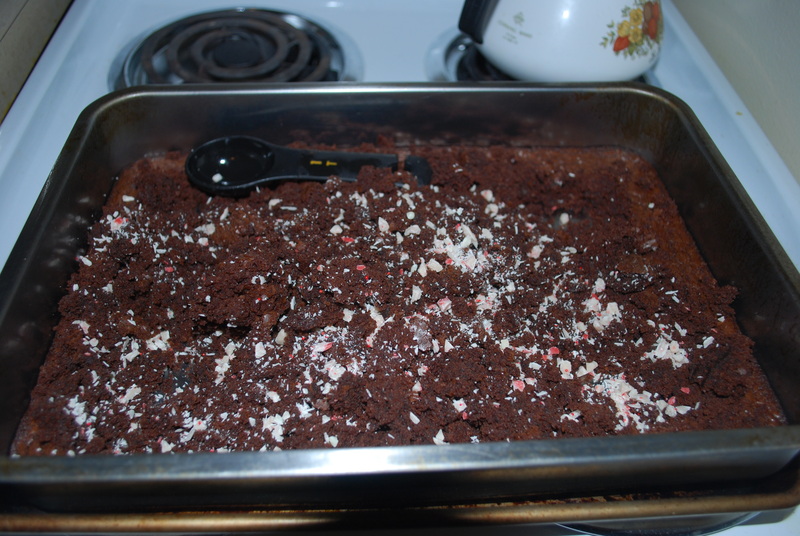 Add about 3/4 of your Candy Cane Kiss pieces to the brownies, then mix them all together. 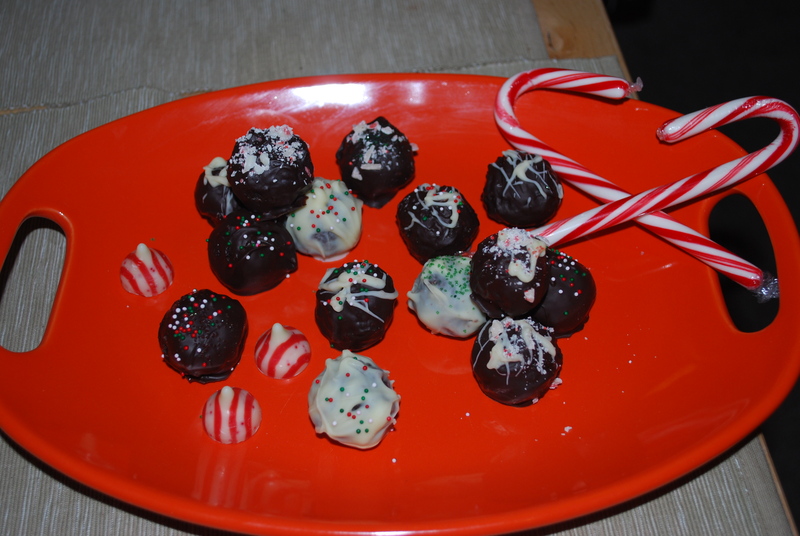 Use a tablespoon to roll the brownies into balls, then place them on a wax paper-lined baking sheet. 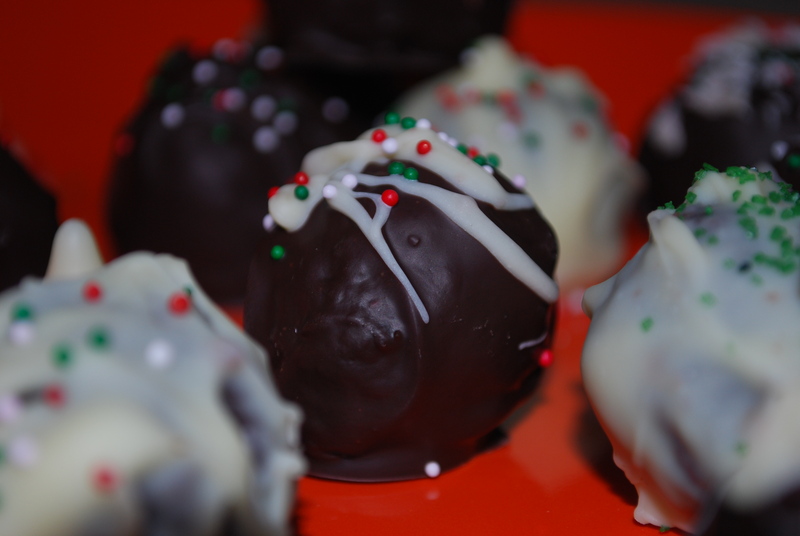 Once you’ve made all the brownie balls, it’s time to cover them in chocolate. 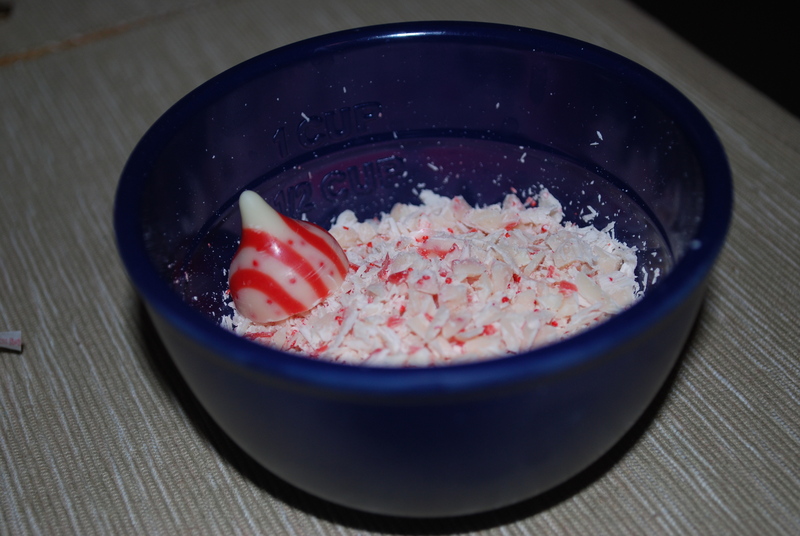 Melt 6oz semi sweet and 6oz white baking chocolate in separate bowls in the microwave in 30 second increments, stirring in between, until the chocolate is melted. 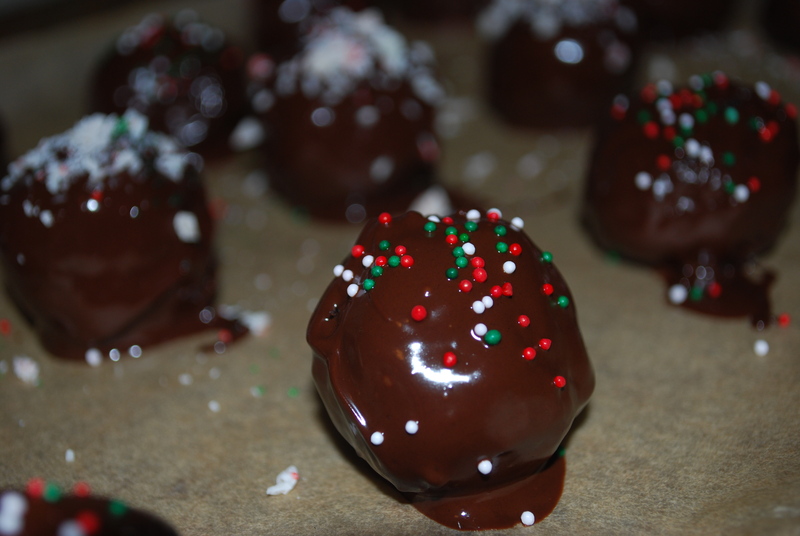 Roll the balls one at a time in the chocolate until covered completely, then return them to the baking sheet. 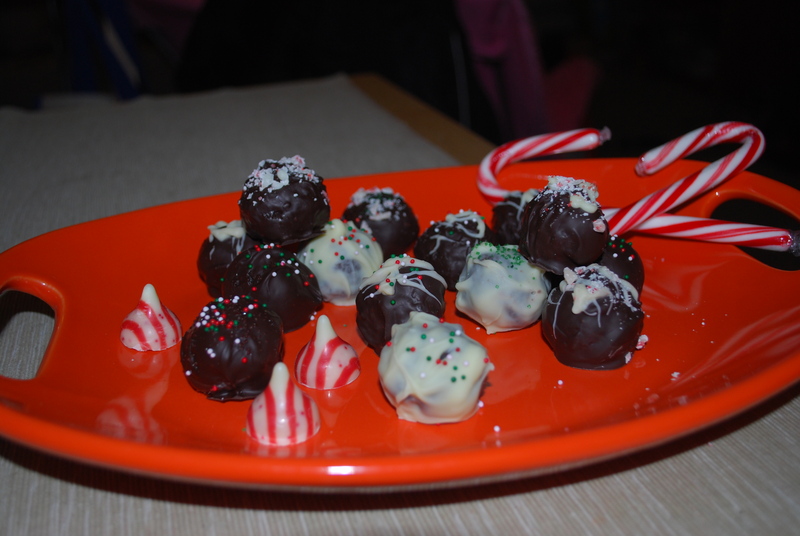 You can use a fork to help roll them around in the chocolate to keep your hands a little less dirty. 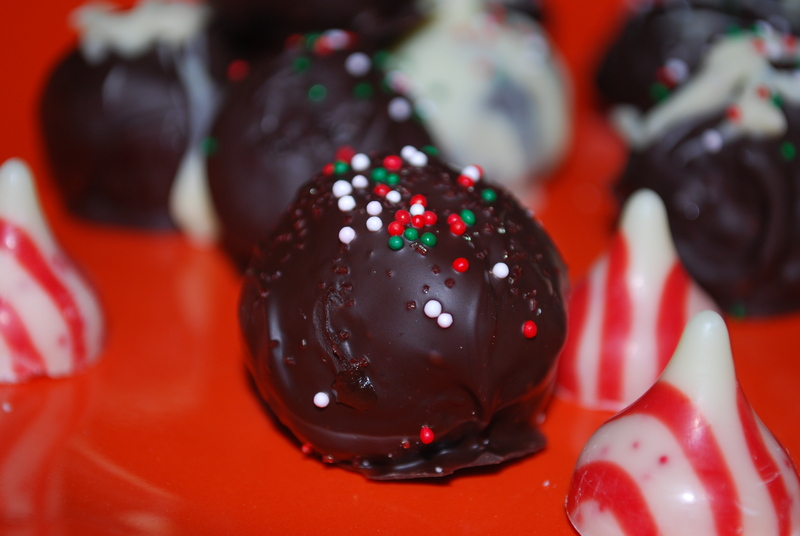 While the chocolate is still hot, top your truffles with sprinkles, the leftover Hershey Kiss pieces, or drizzle with the opposite color chocolate. They’re so pretty! 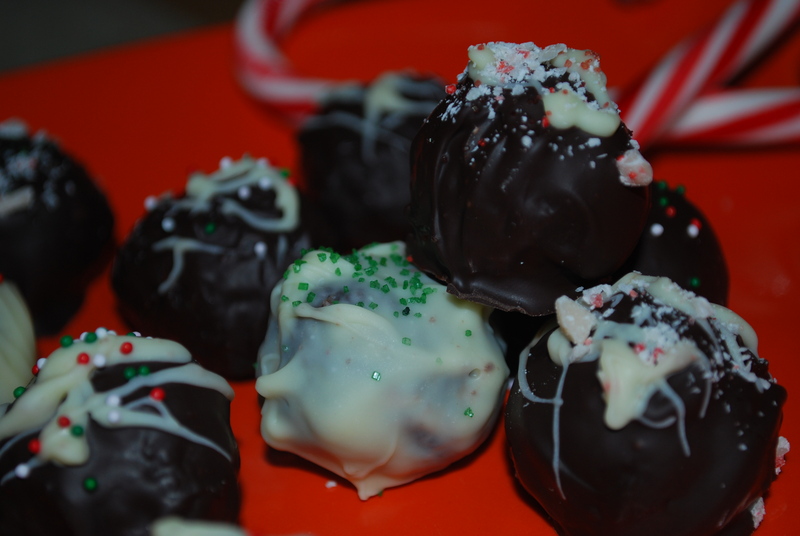 Guaranteed to be a hit with whomever is lucky enough to eat them! Bake brownies according to directions on box, then cool completely. 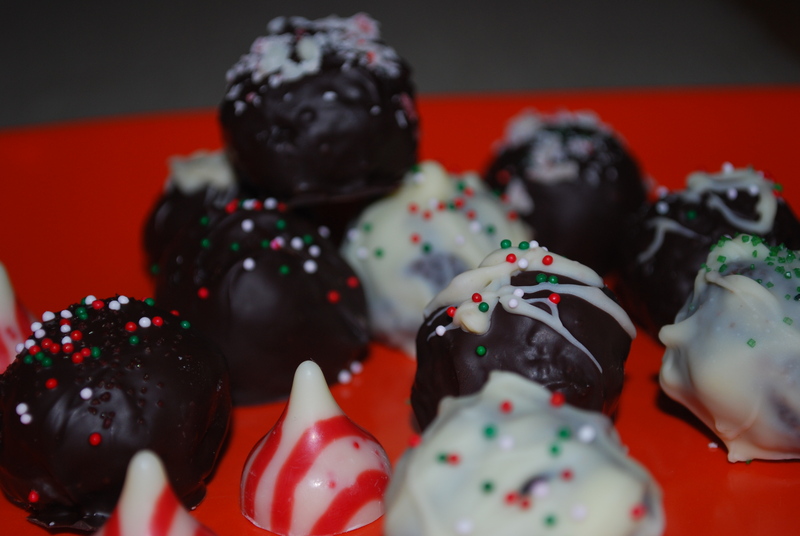 While brownies are in the oven, cut 10 Candy Cane Hershey Kisses into tiny pieces. 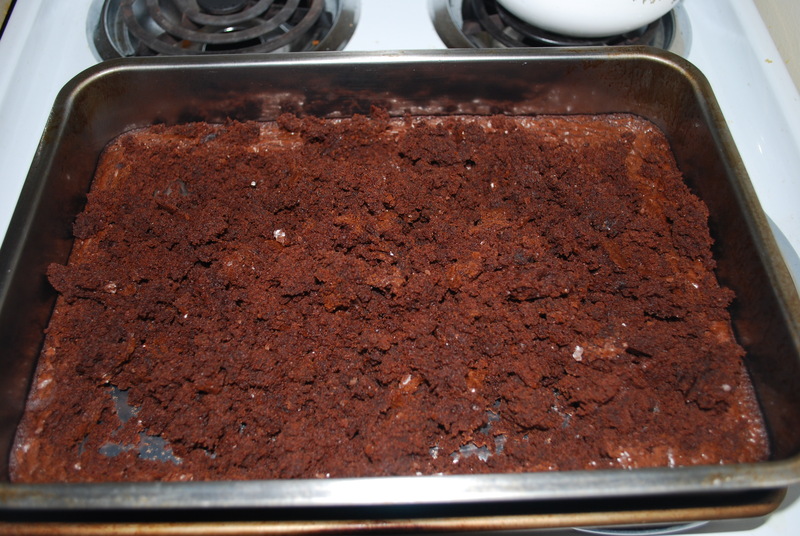 When brownies are cool, crumble them in the pan, discarding the harder edges. 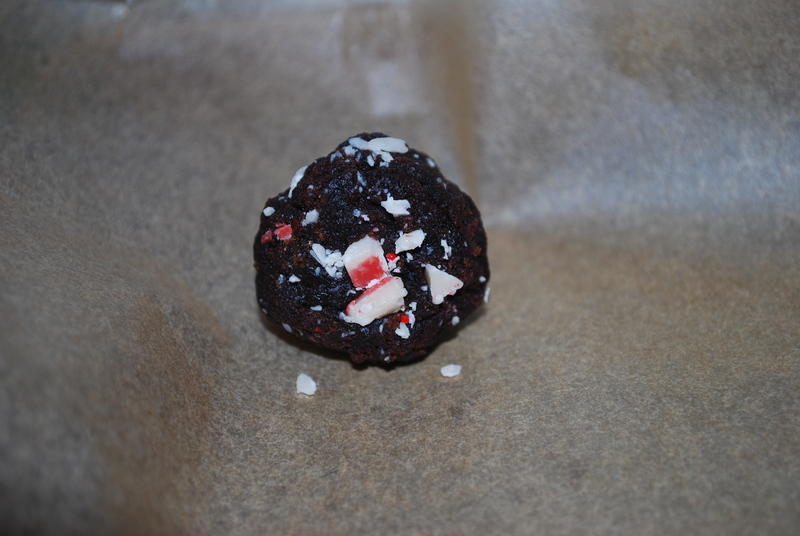 Pour 3/4 of the peppermint kiss shavings/pieces onto the brownies, then mix them up. 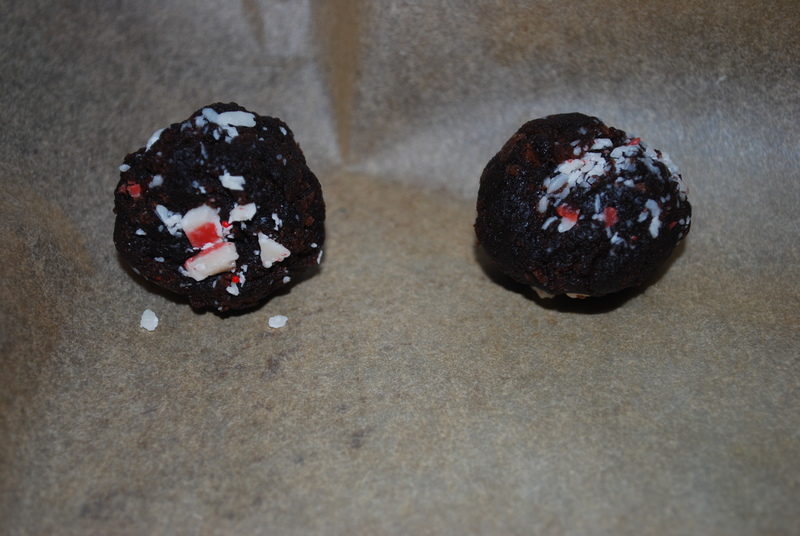 Use a tablespoon to roll the brownies into balls and place onto a wax paper-lined baking sheet. 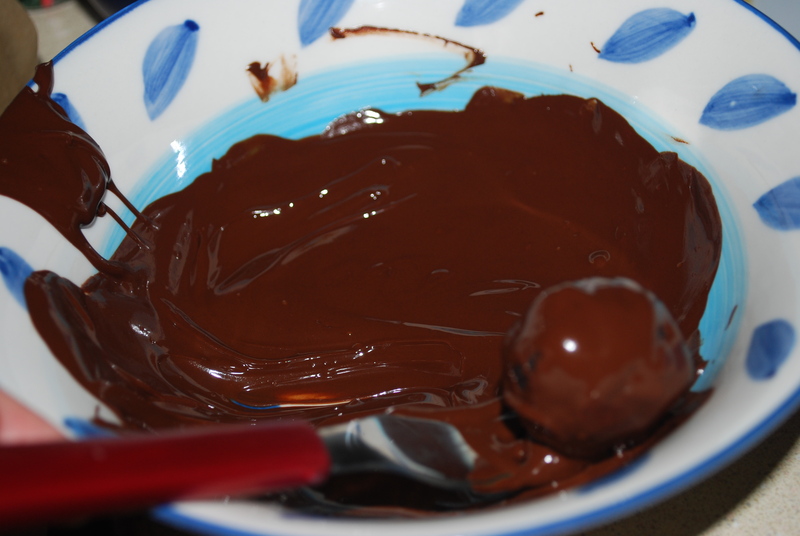 Add baking chocolate into separate microwave safe bowls (semi-sweet in one bowl and white in another bowl) and microwave in 30 second increments, stirring in between, until the chocolate is melted. 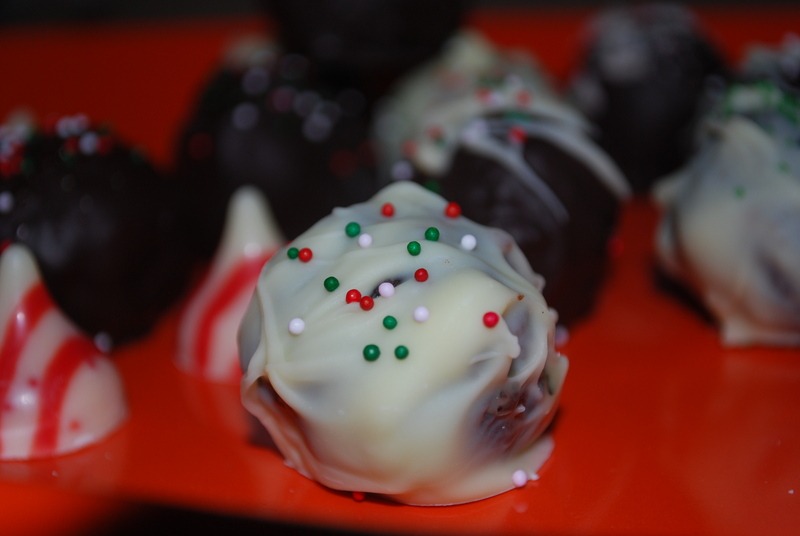 Roll the brownie balls in the chocolate until covered and transfer back to the baking sheet. 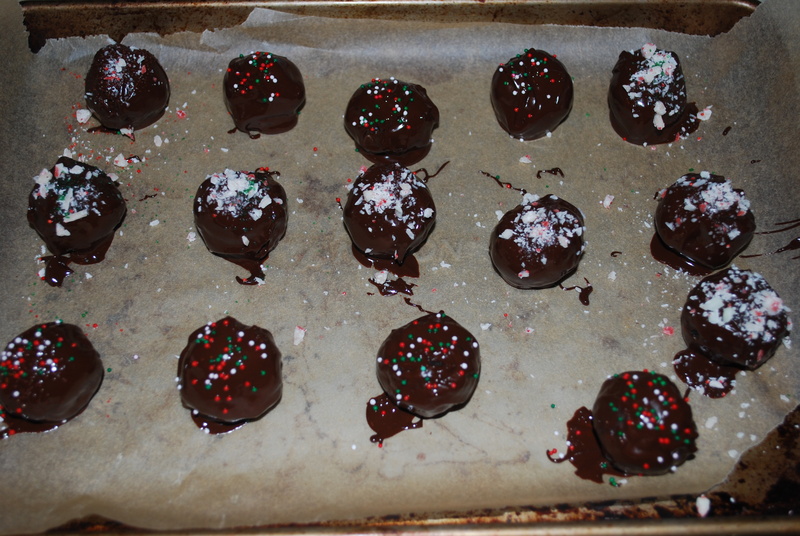 Add sprinkles or leftover Hershey Kiss shavings while chocolate is still melted or drizzle with the other chocolate. 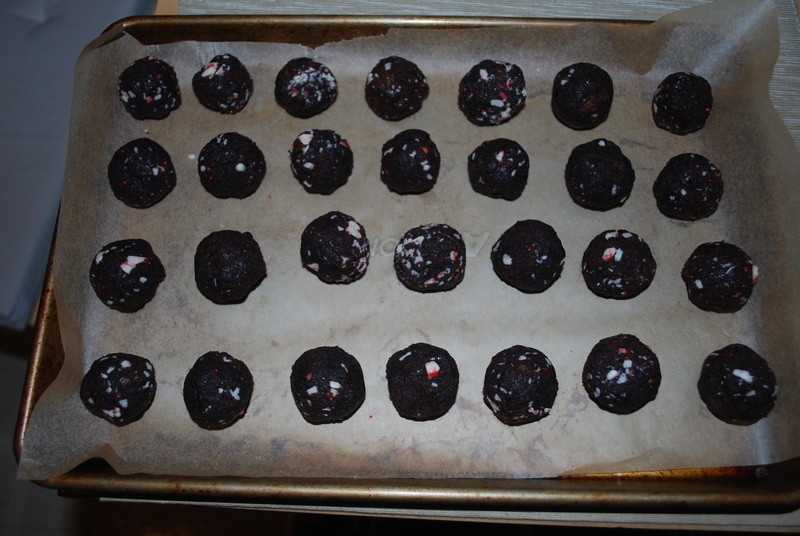 Place baking sheets into the fridge to let the chocolate harden, then transfer into tupperware containers and store in the fridge. 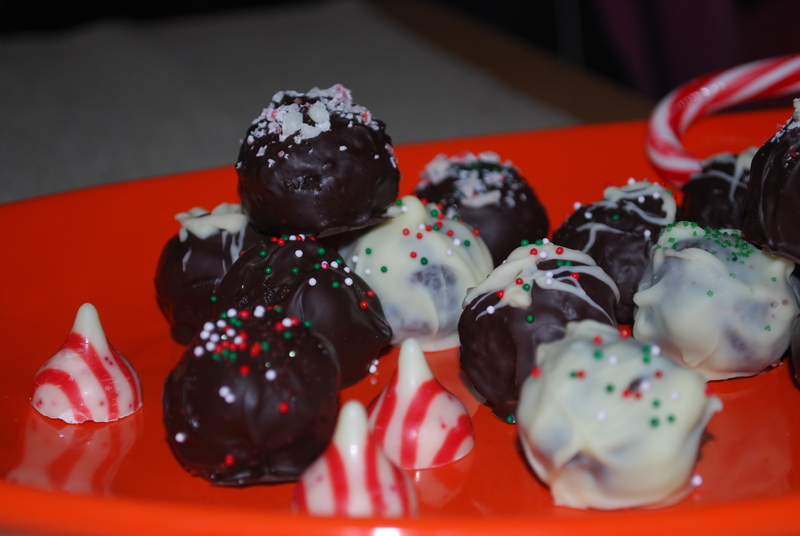 This entry was posted in Christmas, Desserts and tagged brownie, cake pops, chocolate, peppermint, peppermint brownie truffles, truffles. Bookmark the permalink.